The Provincial Government of Zamboanga Sibugay through the leadership of Governor Wilter Yap Palma strengthened the Special Program for the Employment students (SPES) to reach the poor but deserving students in the entire province. The program aims to help the 295 poor students be employed this summer. The Provincial Peso Manager, HRMO Esther Yukoya tasked to oversee the implementation of this program to ensure that qualified students can avail of the said program. During the first quarter of this year, the Provincial Peso Manager conducted various consultative meeting together with the 16 Municipal Peso Managers and Barangay Officials in preparation for the implementation of SPEs. Applicants go through a screening process for the short listing. All of these initiatives were being made in order to meet the requirements provided under RA 7323 and RA 9547. On April 14, 2015 an orientation was successfully conducted by Provincial PESO to the 295 qualified SPES grantees which was held at the Center Podium of the Provincial Capitol, IPIL, Zamboanga Sibugayin coordination with the DOLE field office. The orientation was given to the SPEs grantees to guide them in their work and educate in the positive values and good work ethics. 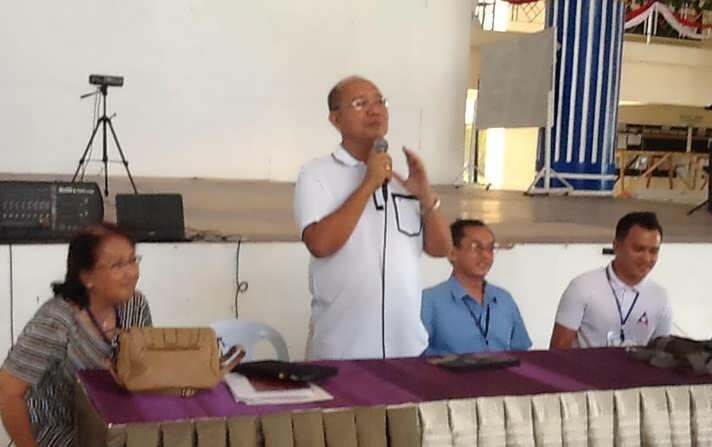 Governor Wilter Y. Palma graced the orientation wherein he lauded the SPES program for catering the needs of Sibugaynun students who belongs to the indigent families. He said "Ang edukasyon ang sulbad sa atong pagkakabus", emphasizing thrust of his admiration education. The Governor also expects for the support of every Local Chief Executive in every municipality of Zamboanga Sibugay stressing that these are no political motives behind the implementation of this program and there is equal sharing of the number of beneficiaries per municipality.